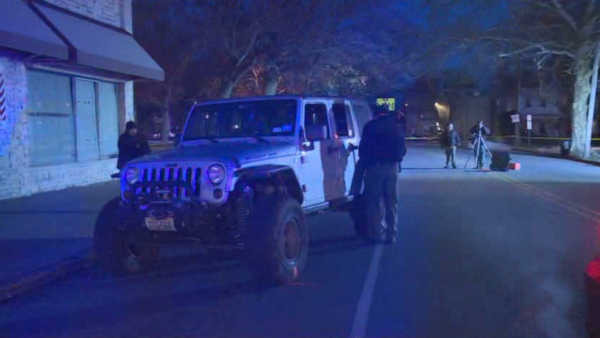 DOVER, New Jersey (WABC) -- A New Jersey police officer is in critical but stable condition after being struck while responding to possible carbon monoxide poisoning in a vehicle. The officer was checking out a jeep at about 4:10 p.m. Saturday when it suddenly drove forward, running him over. Responding officers stopped the jeep and arrested the driver, 29-year-old Michael Medici and passenger 32-year-old Colleen McDonough. The officer suffered a concussion, a broken femur and broken shoulder and is being treated at Morristown Memorial Hospital.